Tis the season of giving which should be a joyful experience of blessing ones friends and family with little love and generousity. Potentially gifts should say so much; I love you, I understand you, I think of you… pressure! Whilst preparing for Christmas I recently reflected on the best gifts that I had received during 2011, they had two things in common: they were all second hand and thus, they all came with a story..so I though I would share a few of them with you, I can never resist a story! 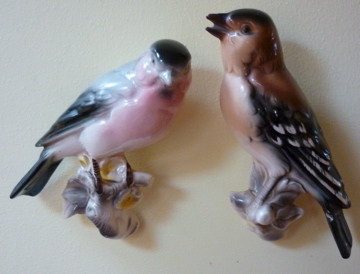 I had taken a notion back in the earlier part of this year to find for myself a stuffed bird, preferably a canary. 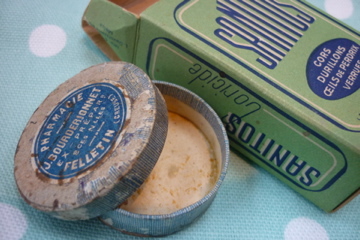 However, the purchase of this particulr item would have proved too costly. My wee brother found this little pair of beauties in an antique shop in Saintfield. Aparently they had belnged to the owner who had them hung in her halway for decades. I named them Peter and Paul, somehow the filled the gap that had been waiting for the yellow canary and I halted my search! I was very puzzled when a good friend of mine brought this gift over out of the blue, fully wrapped in sparkly paper. Isn’t it fascinating to discover what people think of when they think of you?! 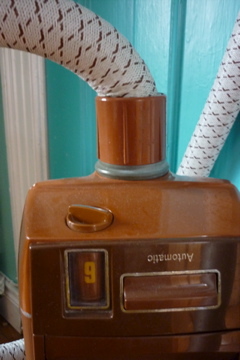 My friend Edyta knows that I appreciate a bit of good old retro product design. Her husband was working on the renovation of a house and found this Electrolux hoover sitting all by itself (dead as a doornail) in a room that time forgot and so they thought of me!. Edyta’s father,who lived and worked through communism in Poland when times were tough and everyone did anything to fix up, re-cycle and re-use, knew exactly what this little h00ver needed to bring it back to life. He worked 0n it every evening for nearly a week and managed to breath new life into it’s beautiful little retro body. It actually works incredibly well and is as strong as an ox, makes you wonder what’s been happening in the progress of hoovers over the last 40 years! 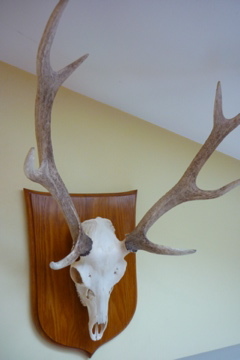 Most people who walk into my house find the sight of this deer skull slightly disconcerting. For me, it brings back memories of the crisp February day that I found the deer carcass tucked in behind a rotting boat on the shore of a mountain lake. It must have sheltered there during the winter and not made it through, I felt quite attached to it immediately, the kids and I named it Smokey! We took the skull home and after bleaching it I handed it over to my husband with a request to have it mounted in some way for my birthday. The carpenter who mounted it did a beautiful job, creating an oak panel and attaching poor Smokey’s skull ever so carefully. Smokey is mounted high up on our kitchen wall, I feel him gives the room a good old fashioned mountain lodge feel! 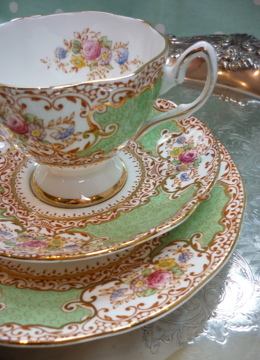 Most of my friends know of my love of tea sets, I have already blogged more than once about beautiful tea cups, cakes and sugary things. It’s fun searching for interesting tea sets in charity shops and flea markets but it’s ten times more wonderful to be given something special. Recently my friend gave me this tea set, apart from the fact that it is more beautiful than the majority of sets that I own, I love the story that comes with it! 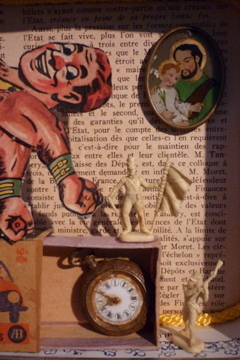 It belonged to an elderly gentleman who passed away at the age of 92, he was the great uncle of my friend Elaine. The tea set belonged to himself and his wife and would have been their good set (probably from their wedding) which explains the perfect condition it’s in. The couple met during the war when she was sent out from the Donegal Pass as a refugee to the far flung safety of Purdysburn (about six miles away). I don’t know much else about their history but I love to think of them sitting in their good room together sipping tea from their beautiful china and reminiscing about the circumstances in which they met. 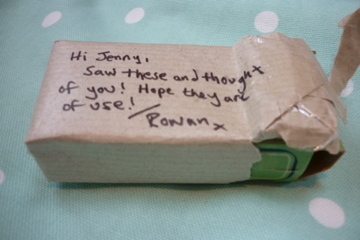 I found this little parcel lying on my door mat last week, it was only the size of a matchbox!